For producing high precision metal products, the best manufacturing company relies on different methods. One of these methods is laser metal cutting. 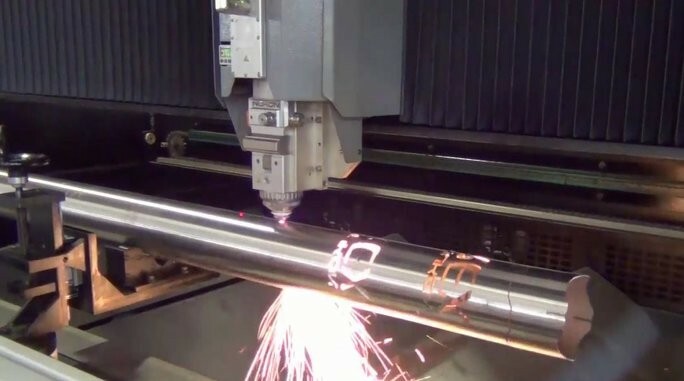 A company that offers a laser metal cutting service uses a laser beam that melts aluminum and stainless steel. In addition, it uses high-pressure nitrogen or oxygen to eliminate molten metal from the workpiece. The head of a small laser metal cutting machine moves over the metal plate in the shape of the finished part or component. In other words, the laser beam moves along the workpiece, cutting as it goes so that a portion of the plate ends up in the shape of the product requested by the customer. When searching for the right fabrication company that offers a laser metal cutting service, you need to look for specific things. For example, make sure the company that you choose can profile steel, ranging from the thinnest possible gauge to steel plates of varying thicknesses. That way, if your needs for precision parts and components change, you can still rely on the same resource for superior work. Along with standard laser cutting ability, select a company that provides customization. Again, you never know when the complexity of the product you need will change, so you want to work with a manufacturer that is flexible and versatile. Whether you need precision metal fabrication of brass, copper, aluminum, or stainless steel, the manufacturer should possess the skill to create specialized profiles. An additional factor is a manufacturer’s etching capability. While a big part of laser cutting focuses on fabricating parts and components, the right manufacturer can use this same service to produce letters in different fonts as well as designs when creating artwork. Although laser cutting of metal is now an industry standard, that does not automatically mean that all fabricators provide the same caliber of work. By selecting a company with experience and expertise, you have the assurance of fast and accurate fabrication that consists of precision cuts. Weldflow Metal Products provides an all-inclusive service for the fabrication of metal products. You can visit our website to learn about all of our services and capabilities or call to speak with a company representative. We are 100 percent confident in what we provide and would love the opportunity to serve you as a valued customer. This entry was posted in Laser Cutting and tagged laser metal cutting. Bookmark the permalink.